Looking for adventure? Want to experience the very best of the Scottish Highlands, Glen Nevis Youth Hostel is the ideal place to stay. 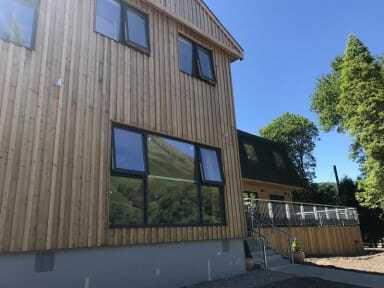 Glen Nevis Youth Hostel is the largest and longest established youth hostel in the Glen Nevis/Fort William area. Hosting hill walkers, climbers and backpackers at the foot of Britain's highest mountain since 1933, it has a proven track record of providing quality budget accommodation for individuals, families and groups wishing to visit the Lochaber area. The youth hostel has a kitchen and lounge to relax in as well as a boot and drying room for wet weather gear. The youth hostel offers full catering for those who prefer to take the hassle out of getting a meal ready after a long day on the hills and also has a great selection of beers and wines. 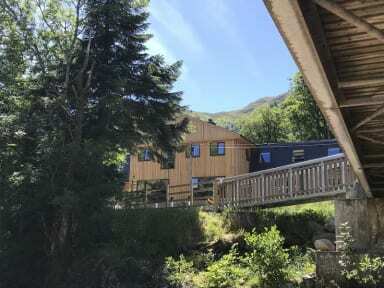 With spacious bathrooms, accommodation for groups, families and independent travellers from around the world, Glen Nevis Youth Hostel is never without a great atmosphere and you are sure to make a friend or two. We can also advise on and book local guides as well as recommend some of the best in out door pursuits available in the Lochaber area. From sea kayaking to downhill mountain biking and late night Celidths on the Nevis Range, Fort William and the wider Lochaber area is a very difficult place to become bored of very quickly. Bien accueilli, l'établissement est neuf, propre et les gens respectueux ! Les Youth Hostel sont une valeur sur! This hostel is amazing. Great staff, nice people I totally recommend it. The only negative thing is the wifi but given the location : ben nevis right outside the door you won't need it. Emplacement super : au pied du Ben Nevis et de l'arrêt de bus pour Fort William. Très bien pour randonner et pour aller visiter les Highlands (bus pour Eilean Donan ou Loch Ness à Fort William). Auberge propre et confortable si ce n'est un manque voir une absence totale de prise dans certaines chambres (chambre 9 par exemple). Le personnel est accueillant et nous renseigne mais manque un peu de chaleur (peut-être notre pratique de l'anglais loin d'être excellente n'a pas aidé). Problème de lits grinçants (sommier métallique à ressorts).